In the Journey, who is your companion? Who is your guardian, your guide, your icon, your shepherding guide? Me? Raven and crow, telling. 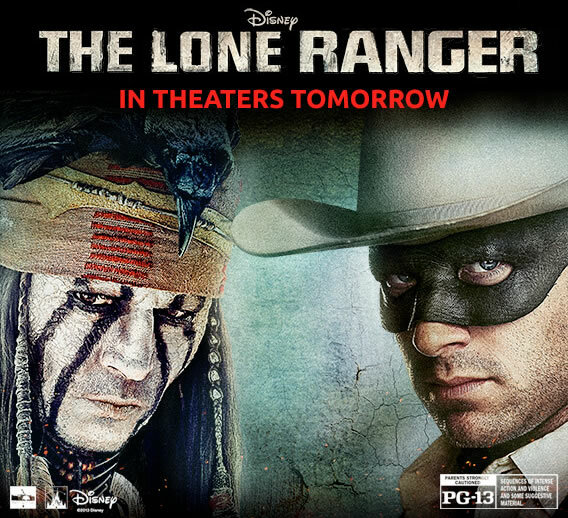 We’ve noted in an earlier blog study, that we’ve been involved in the Lone Ranger, as designers, in the past — the current, lightly letter-spaced treatment of “Lone Ranger” isn’t a Girvin font, nor the brush-washed rendering isn’t a Girvin rendering of a raven winged spanning. Still, we have deep history with Disney, as consulting designers, and Bruckheimer. My first direct work for producing director Hollywood types, along with Tony Scott was for Don Simpson and Jerry Bruckheimer. Top Gun, that opening collaboration. We love, write about, those birds. For designers, they’re perfect, all black spatter, like the haboku wash of one of Girvin’s paintings of ravens in flight, like gestures of spilled paint, the cast of blackbirds flying by. 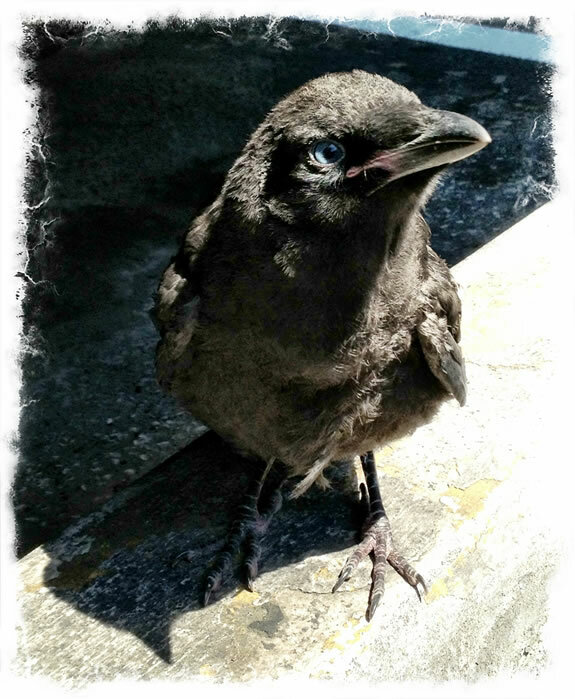 Being one known as a corvid-lover, a perpetual admirer of Crows, Ravens and Jays, friends often presume that anything to do with crows, I might have done. they’re here, they’re not — they are seen, then they are shadow, like much of life. It comes and goes — in a blink. 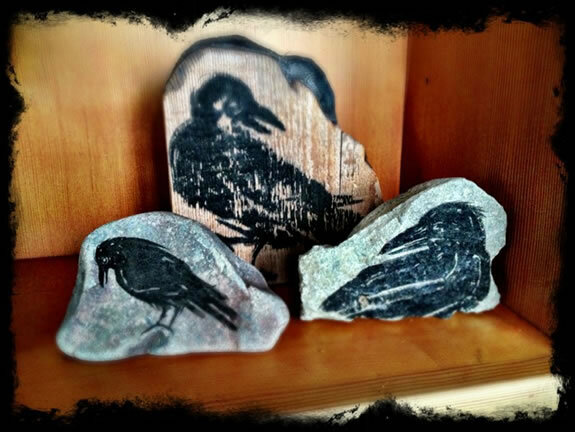 I have my own tellings, the Raven Stone. lion, jaguar, peacock, dog, bull, frog, or snake? What I find is that there a calling, something pulls you to one, and it keeps calling, that journey drawing you nigh — to yes, what, that answer? Moving to the garage, I heard this kaw, cawing. 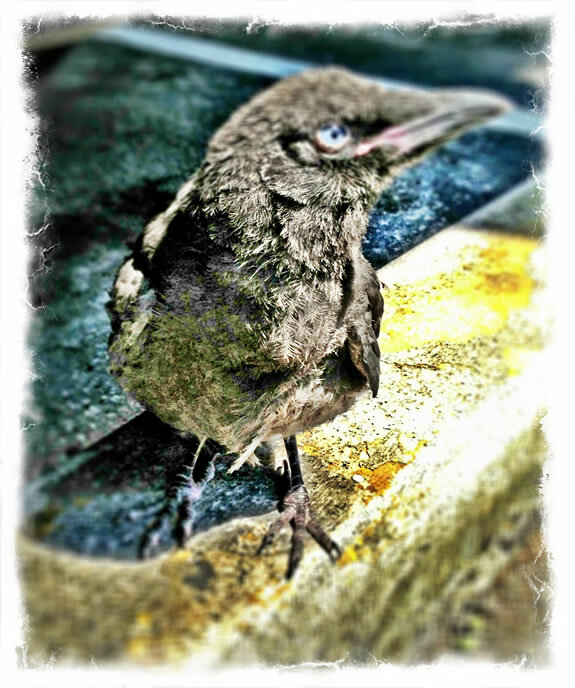 Again, the call — a crow, inside a building structure? Impossible. It was under my car, calling out. 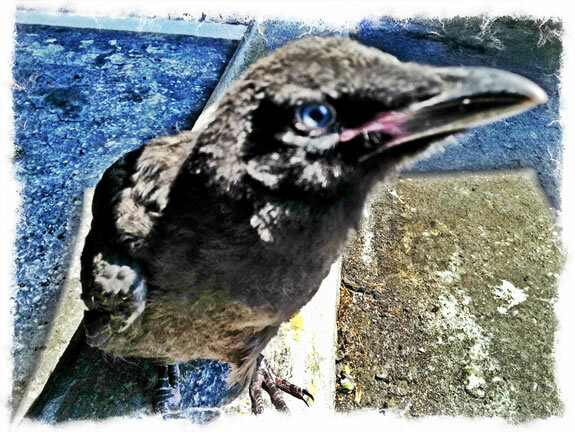 So I whispered to this little bird, baby crow. A swish, swishing sound, a whisper. And she looked up at me, moving closer. I jumped, she was disarmingly loud. calling my daughter to come over with some food for her. 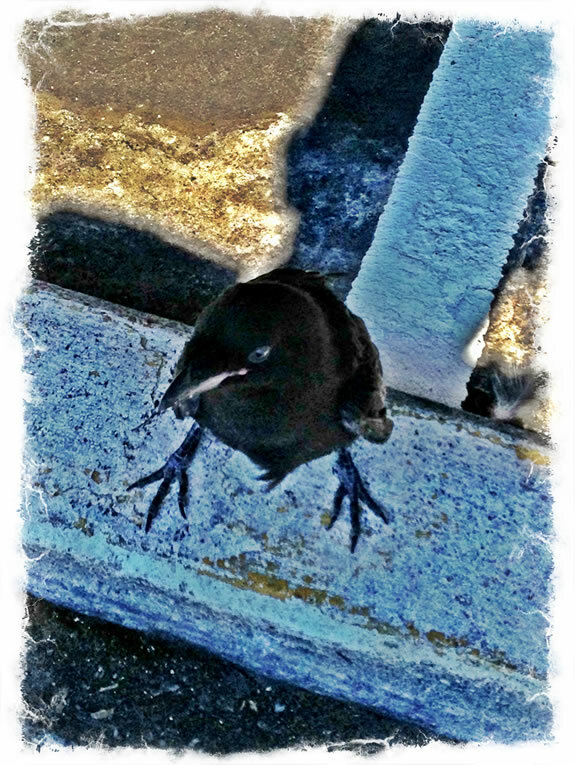 She came, we talked about this little bird. Meanwhile, a grouping of crows flew by, screeching. I studied her, talked to her, held her. 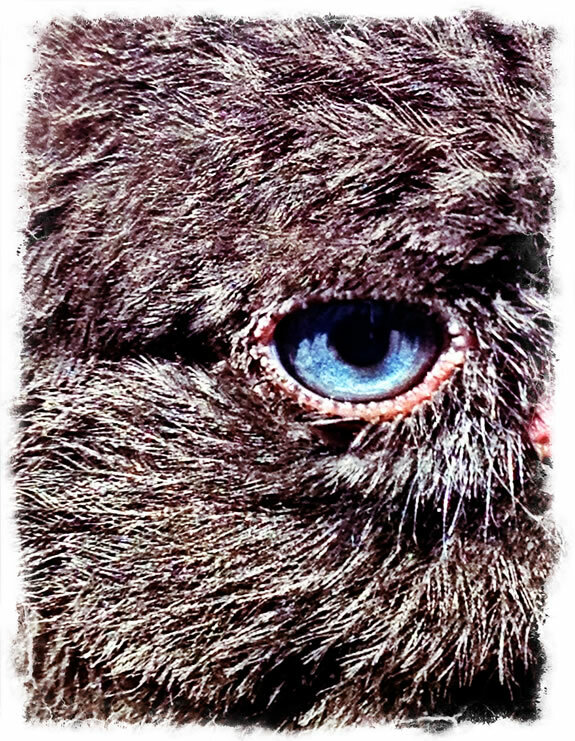 She looked at me, blue-eyed. I wonder about the idea of animals, their link to us, how we connect with them, what we think of them — how we hold them in esteem. and the touch of this little moment. A point of momentum — that could change a life, forever. They look at me, as I do: them. In that sharing, the reflectivity, I learn something, hold something of them, a leaning in to their world. And they lean into mine. What is your icon, who do you lean into, listening?